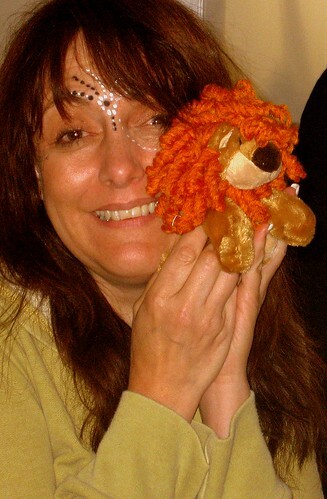 BAGGED MY FIRST LION, originally uploaded by electra-cute..Africa bound!. I am so excited…tomorrow we meet up with Bernice and Franck…some great friends in SA who have one of our chows (Liza). We hook up for supper then will come back after our safari to have a holiday with they for an entire week!!! Can’t wait to see you guys!!! Hi Sandy and Steve…you look soooo happy and like you are really enjoying the trip! The tribal paint is a real “eye catcher”…they did not have your talent my dear! Thank you Love~~~ We are really having a blast thats for sure. Just got back from dinner with Bernice and Franck~~~ WOW are we gonna have a great time staying with them for a week~~~~ Will add more in the updates. Luv you tons and i really look forward to your notes!!!! Thank you!!! What great fun meeting you finally!!! Vic Falls are going to be so gorgeous & you’ll love Botswana! We’ll catch up with you soon…!! !